Vertigo Comics, offset of comic king’s DC, is responsible for some pretty solid characters, including one of our favourites, American Vampire‘s Skinner Sweet and of course, the Sandman. The executive editor of the brand has been female since it’s start up in ’93, first overseer being Karen Berger and now the role has fallen to Shelley Bond. Despite many of the comics distributed by Vertigo containing some strong female role models (Evey Hammond, Death) there have been surprisingly few female driven titles produced. 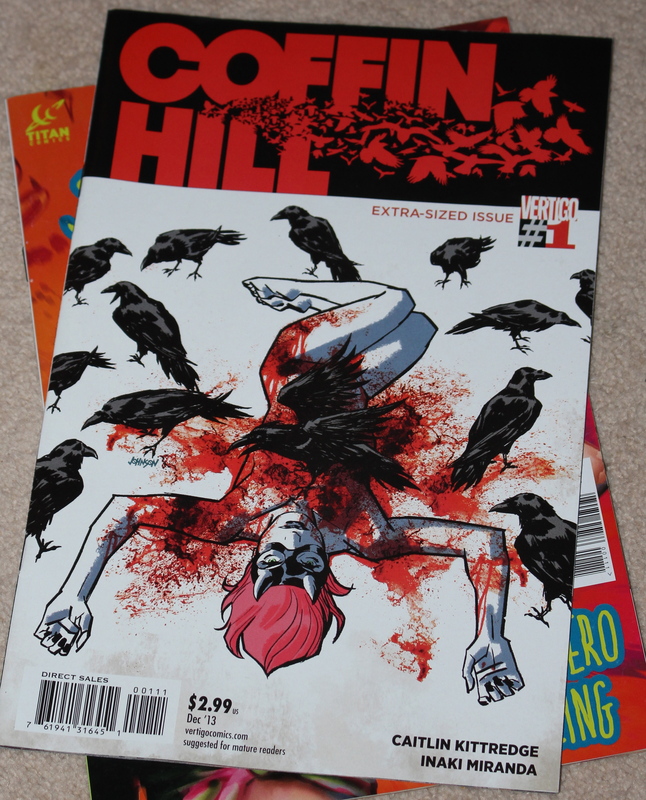 Coffin Hill is not only woman-centered but penned by a woman too. Caitlin Kittredge is a dark fantasy author and this title marks her first entry into a world she has long been a fan of, the world of comics. Anyway, enough of the back story, is Coffin Hill any good I hear you ask?! The artwork is seamless, and as we all know with comics, art does matter. Inaki Miranda has worked previously with Vertigo on titles such as Fables and Fairest as well as on 2000 AD‘s Judge Dredd.